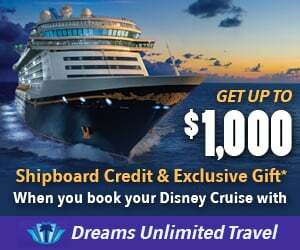 Discussion in 'Disney Cruise Line Forum' started by diznymom, Feb 11, 2019. We have USA passports that expire July 2020. We are cruising Hawaii to Vancouver May 2020. Do we need to renew our passports before we go, or are we good?? TIA for all of your help. Please only answer if you know for sure. The real answer is: How long after you arrive in Canada, does Canada require your passport be good for? I think that for USA citizens, you do NOT need a passport. Here is a USA Link for you to check out. When you enter Canada, a border services officer will ask to see your passport and a valid visa, if you need one. If you are a citizen of the United States, you need a passport to fly to or transit through a Canadian airport, but not to enter Canada by land or by boat. You must carry proof of your citizenship, such as a birth certificate, certificate of citizenship or naturalization, or a Certificate of Indian Status, as well as photo identification. If you are a permanent resident of Canada or the U.S, you should bring your Permanent Resident Card with you. If you are a member of a Trusted Traveller program, see Visitors to Canada. This is from Disney. It looks like you'll be good. The European sailings say the passport can't expire for 6 mths from your exit date. The following guidelines are based on government regulations, which are subject to change at any time. It is your responsibility to ensure that you have all the proper documentation to board the ship and enter each of the countries on the ship's itinerary. Travelers can visit the U.S. State Department's website for more information. All documents must be valid for the entire length of the voyage, unless otherwise noted. Guests without proper documentation will be denied boarding. Social Security Cards and Global Entry are not acceptable proof of U.S. citizenship for purposes of traveling outside of the U.S. Guests who are legal permanent residents of the U.S. must provide a valid original Legal Permanent Resident Card, also known as a "Green Card," or "Alien Resident Card (ARC)." Photocopies are not acceptable. In addition to a valid passport, many countries require an entry visa based on your nationality. Please note that for some itineraries a Canadian and/or U.S. multi-entry visa is required. It is each Guest's responsibility to identify and obtain all the necessary visas before commencing the cruise. Guests without proper documentation will be unable to travel. If your country participates in the Visa Waiver Program, you are now required to have a valid machine-readable passport and obtain 72-hour advance travel authorization via the Electronic System for Travel Authorization (ESTA) prior to boarding carriers by air or sea to the U.S. under the Visa Waiver Program. A copy of the approved ESTA application should be brought with you when traveling. View a list of applicable countries and registration requirements. My passport expires in September 2019 and I am cruising in February 2020 - I started looking into this and the passport agency recommends you renew 9 months before it expires. If you are not going to need the passport again for a while after you return you are probably fine but if you are, you won't have time to renew as you have to send the old one in and be without when you renew. I hate the photo on mine and it doesn't even look anything like me so I will renew it soon, in the next couple of months or so. Who knows what life will throw at me? The extra few months off the end of a 10 year thing doens't bother me much. Adventurelawyer, Anchors Away 2016, marcyleecorgan and 2 others like this. You should be fine, but a standard for many countries is it should expire more than 6 months from your visit. This is to ensure you have a valid passport if you should come across extenuating circumstances and be detained in the country, like hospitalization, for an extended period you can still leave while your passport is valid. soniam and Adventurelawyer like this. Just a FYI: You do need a valid passport to get back into the USA. suedon70, ChicosWife, lorenni and 2 others like this. It took me 3 wks to get my passport renewed, but that was before the govt shutdowns. it did not take long for me to get my son's passport in 2017 at all either but anything can happen in this crazy world. Chances are if you DON'T have a time pressure you will be fine. if you DO have a time pressure, something will go wrong. Murphy's law. Which is why I will renew mine when I don't have a time pressure. Technically you are correct. Canada does not require US citizens to have a passport to enter Canada by land or boat, however because the US requires US citizens to have a passport to return to the US - Canada does require it, only for the fact that they don't want you delayed on return to the US. To answer the OP's question, there is no minimum length of validity required. As long as your passport will be valid for the entire length of your trip, it can expire the next day. Anchors Away 2016 and scgustafson like this. Thank you. This is one less thing to worry about. And you'll need one for this cruise anyway because it's not a closed-loop cruise. I certainly hope you are confirming with more official sources than people on this board. ChicosWife and lorenni like this. Valid at time of entry. For Canadians visiting the US or Americans visiting Canada, your passport need only be valid for the duration of your visit. I'd personally want it to expire no less than a month or at least a couple of weeks just in case of travel delays but you're not going to be refused embarkation if it expires the day after you plan to return. I still usually renew my passport at least 6-9 months in advance of expiry simply because we do travel overseas a fair bit and they do usually require at least 6 months validity after the day you plan to leave but it's not a requirement for US & Canadian citizens visiting Canada and the US. My question would be why wouldn't you renew prior to the trip, even if it's early 2020? IMO, it's better to be safe than sorry. It will expire 2 months after we get back to the USA. I was wondering if it needed to be renewed before that time. I will call the state dept. to make sure. I understood that, but why worry about it when you can just renew it before the cruise and not worry? But, on the other hand, why renew early (and lose X number of months on the old passport) if it's good to use as is? For the cruise OP is asking about, the passport only has to be valid on the day they re-enter the US. IMHO, a passport is good for 10 years, I would rather renew and not worry about it, then gain a handful of months and have to research and worry, ensuring I can travel and get back in with no worries. That is all I was saying. suedon70, soniam and ForMyBoys like this. Coincidentally just spoke to my parents not long before reading this and they shared they just renewed passports during the shutdown and it only took 4 weeks.